At Optimus Brazilian Jiu-Jitsu in Laguna Niguel, our dynamic Adult Jiu-Jitsu classes will not only turn you into a lean mean machine, but a complete Mixed Martial Artist. 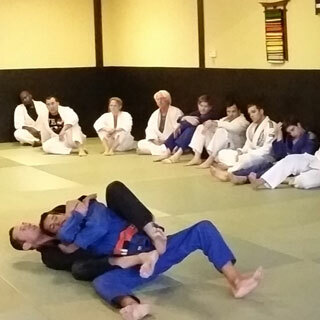 See our Adult Jiu-Jitsu Program Schedule. Imagine getting an amazing workout while learning the most effective martial art system in the world – Brazilian Jiu-Jitsu! Imagine being part of a culture that will be with you forever. In short time, your body will be lean and powerful; you will have forged life long friendships; and you will have mastered an unstoppable martial art.